VA’s staffing shortage by increasing recruitment and retention budgets, while also expanding direct hiring authority to medical center directors to expedite the hiring process of mental health professionals. All health care possibilities should be explored and considered to find the appropriate treatments, therapies and cures for veterans suffering from visible and/or invisible wounds. The American Legion strongly advocates for complementary and alternative therapy and urges Congress to provide VA the necessary funding to increase its Integrative Health and Wellness Program. It is critical to maintain a well-funded national security strategy to ensure a strong national defense. The United States must enhance foreign policy, improve military intelligence, and increase cyber operations and capabilities. The American Legion advocates for a good quality of life for our troops and an improved transition process from military service to civilian life. The Legion vows to fight against those who desire to reduce the benefits of veterans, servicemembers, and their families to obtain short-term budget gains. The American Legion supports VA in finally implementing a quality lifetime electronic health record (EHR) system that works in concert with the Department of Defense system to ensure that veterans’ medical documents transfer seamlessly from active service to VA and community providers. ensure an improved quality of life for women veterans with gender-specific health care to meet their needs. the future of the Veterans Choice Program, which expires in August. A community care option is now a basic expectation for enrollees in VA’s health-care system. Excessive outsourcing would render VHA too small to function economically or preserve quality of care and essentially dismantle it. Congress should pass legislation to unify VA’s multiple non-VA care programs with VA as the coordinator and guarantor of care. There are 5.5 million caregivers who go unnoticed while they care for America’s wounded. Military caregivers suffer higher rates of depression and health problems than others. The American Legion is committed to supporting these hidden heroes. Agency to license privately-funded medical cannabis production operations in the United States to enable safe and efficient cannabis drug development research. As the primary author of the original GI Bill, The American Legion continues to focus on the sustainability of this important earned benefit, while ensuring that veterans receive the most benefit possible from it. from military Survivor Benefit Plan annuities. The American Legion supports legislation to repeal both of these unjust offsets. same right to an end-of-service exam is only partially authorized for reserve component servicemembers. This unfair treatment must be changed. The American Legion will celebrate its centennial in 2018-2019. An American Legion Centennial Coin is under consideration by the U.S. Mint. Timely congressional authorization is needed and your support is requested. National Guard members. The American Legion wants to prohibit employers from pressuring a veteran into waiving his or her veteran’s employment rights and protections. Services for Veteran Families that move veterans and their families off the street and into stable housing. 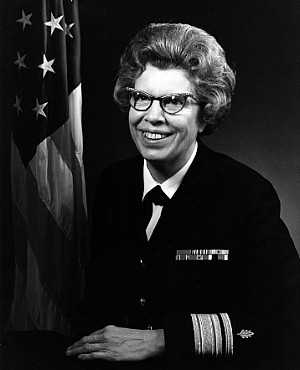 WASHINGTON (NNS) — Retired Rear Adm. Alene B. Duerk, the Navy’s first female admiral, passed away July 21, 2018. She was 98 years old. U.S. Department of Veterans Affairs (VA) Secretary David Shulkin appeared before the Senate Committee on Veterans’ Affairs at an oversight hearing on Jan. 17 to testify about the VA’s progress with implementing reform legislation passed in 2017. Shulkin addressed a variety of concerns ranging from appeals reform and modernization to accountability. In his opening remarks, Shulkin shared the VA’s top five priorities. These include providing greater health care for veterans; modernizing VA’s infrastructure, equipment and services; focusing resources based on what’s most important to veterans; improving the timeliness of how the VA delivers its services; and preventing veteran suicide. When asked how the VA plans to dissipate the backlog of appeals in the future, Shulkin said there is a lot of work to do as nearly 470,000 appeals still need to be resolved. Immediately after the Veterans Appeals Improvement and Modernization Act of 2017 was enacted on Aug. 23, 2017, the VA initiated a new appeals system called the Rapid Appeals Modernization Program (RAMP). Shulkin said RAMP allows most veterans with pending compensation benefit appeals to participate, giving them the option to have their decisions reviewed in the higher-level or supplemental claim review lanes outlined in the new law. RAMP is expected to be fully implemented by February 2019, according to Shulkin. “We’ve actually started to make major improvements already,” Shulkin said. “This year we are on track to do 81,000 appeals – that would be 30,000 more than last year. Just at this period right now in this fiscal year, we’re at 21,000 appeals which is 10,000 more than this time last year. So, we’re getting better and faster and we’ve brought on new staff. Shulkin said he hopes more veterans will make the switch as stakeholders, including veteran service organizations (VSOs) and Congress, trust the VA to do what it promised to do and in good faith. According to Schulkin’s written testimony, more than 1.1 million veterans utilized the Veterans Choice Program in fiscal year (FY) 2017. An increase of about 35,000 Veterans from FY 2016. In October and November of 2017, the VA submitted the Veteran Coordinated Access and Rewarding Experiences bill to Congress. Shulkin said the department needs Congress to pass legislation that will give veterans a working system and meets or exceeds what the private sector has to offer. 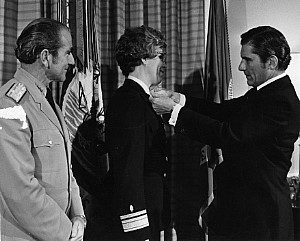 · Address clinical staffing shortages through expansion of graduate medical education, and by improving VA hiring and staff retention. The American Legion believes a community care is a basic expectation for enrollees in VA’s health care system. 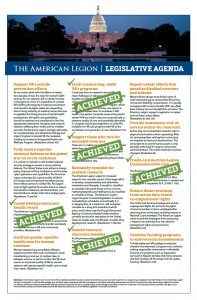 The Legion calls on Congress, according to Resolution No. 363, to enact legislation that will limit outsourcing and give the VA the authority to consolidate its multiple community care programs. The VA has taken significant steps since the Colmery Act was enacted more than five months ago, according to Shulkin’s written testimony. As of Jan. 5, the VA has received and processed close to 600 applications and restored over 3,500 months of entitlement to students, granting them the opportunity to continue to pursue their academic goals. The VA will notify more than 500,000 Post-9/11 GI Bill beneficiaries by the end of this month, informing them that they no longer have an expiration date to use their benefits. Shulkin said that the VA will stay committed to its ambitious outreach campaign to include targeted messaging and engagement to thousands of Purple Heart recipients, who starting Aug. 1, 2018, will be entitled to Post-9/11 GI Bill benefits at the 100 percent benefit level for up to 36 months, regardless of their time in service. The VA will also communicate to reservists and National Guard members on their expanded access to GI Bill benefits. The VA remains steadfast in its effort to raise awareness of the Colmery Act’s broad impact to Veterans and beneficiaries. “It’s about greater opportunity, especially for veterans returning to communities to pursue careers and fulfill dreams,” Shulkin said. Shulkin said reducing veterans’ suicide is VA’s top clinical priority. The VA has announced same-day services for primary care and mental health at every VA facility across the country, which includes extending mental health services to veterans with other than honorable discharges. According to Shulkin, VA has provided mental health services for about 3,200 veterans over the past 10 months. He said the department hopes those efforts will increase as more veterans are encouraged to seek help. According to Shulkin’s written testimony, the VA took expedient action to implement his new authority to hold employees accountable as required in the Accountability and Whistleblower Protection Act of 2017. 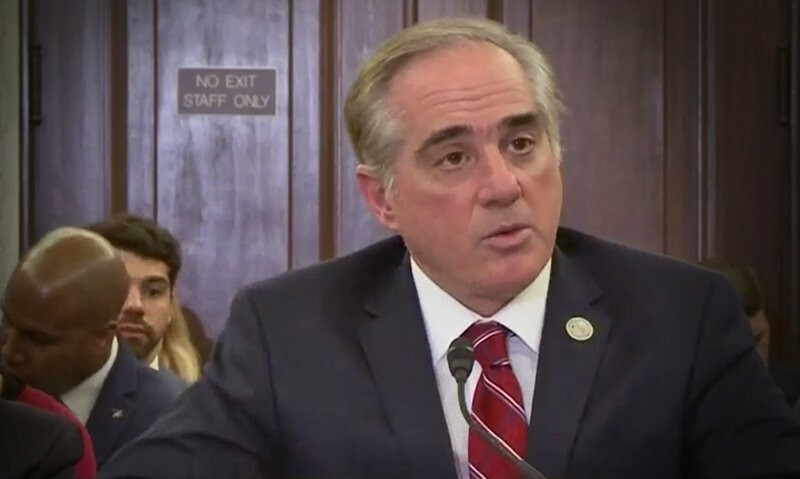 Within weeks of the law’s enactment, Shulkin said he made it his duty to ensure that both the VA and employees are held to the highest standards of performance, integrity and conduct. VA’S Office of Accountability and Whistleblower Protection (OAWP), which was established in 2012, is protecting whistleblowers by utilizing its authority to place a temporary hold on personnel actions in cases where whistleblower retaliation is alleged or a disclosure is unresolved. As of Jan. 8, Shulkin said OAWP has completed 77 investigations involving nearly 150 persons of interest. Its current inventory is 139 investigations and involves 228 persons of interest. · Authorizing VA to contract with nonprofits to investigate VA medical centers. Click here to watch the Senate VA committee hearing. Veterans invited to share their stories during moderated panel discussion Jan. 17. LOS ANGELES – Bob Hope Patriotic Hall welcomes “The Greatest Legislation: An American Legion Centennial Salute to the GI Bill,” a multi-media exhibit, with a public reception and moderated panel discussion Jan. 17 at the historic home of the Los Angeles County Department of Military & Veterans Affairs, 1816 S. Figueroa Street, Los Angeles. A reception begins at 5:30 p.m., followed by the discussion and audience participation beginning at 6:30 p.m. Admission is free. Veterans and families whose lives have been influenced by the GI Bill, originally passed as the Servicemen’s Readjustment Act of 1944 under the leadership of California’s Warren B. Atherton during his term as national commander of The American Legion, are invited to share their stories about the GI Bill, which has been described as the most significant social legislation of the 20th century. Dr. Jennifer Keene of Chapman University, author and distinguished scholar of World War I history, will discuss the GI Bill as one of the most significant accomplishments achieved by veterans of the First World War, who drafted the original bill and fought through its critics, Congress and a late-night Georgia rainstorm to make the measure a reality. Keene, president of the Society of Military History, is a master scholar chosen by the United States World War One Centennial Commission to provide professional training for educators about the First World War’s place in history. The program is supported by an American Legion grant. American Legion Past National Commander David K. Rehbein of Iowa, chairman of the organization’s 100th Anniversary Observance Committee, will moderate the panel discussion at Patriotic Hall. 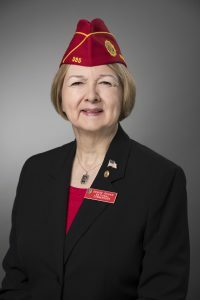 Also speaking at the event will be Verna Jones, executive director of The American Legion, and panelists who will discuss the continuous effort to make the GI Bill a powerful benefit of military service and fuel for the U.S. economy. Scheduled panelists include U.S. Coast Guard Lt. Cmdr. Raymond Jackson, Los Angeles-Long Beach Maritime Safety and Security Team; UCLA student and Army veteran of Iraq and Afghanistan Sarah Horton; and John Kamin, Iraq combat veteran and assistant director of The American Legion’s Veterans Employment and Education Division in Washington. Attendees of the Jan. 17 event are encouraged to RSVP by contacting Los Angeles County Department of Military & Veterans Affairs Executive Assistant Tatiana Rosas by email at trosas@mva.lacounty.gov. “The Greatest Legislation: An American Legion Centennial Salute to the GI Bill” is a traveling exhibit that features illustrated panels and more than 20 videos in touch-screen kiosks. It will be at Patriotic Hall through March 2018. The American Legion, with 2 million members serving communities through approximately 13,000 local posts worldwide, was formed March 15-17, 1919, by members of the American Expeditionary Forces stationed in France after the armistice of Nov. 11, 1918. Jeff Stoffer, American Legion Media & Communications Division. There are many ways to demonstrate compassion for veterans, but at the top of the list is caring for their families. It is why President Lincoln included widows and orphans in his famous pledge to veterans and it’s why I chose Family First as the theme for my year as national commander. A recent White House proclamation called it “our patriotic duty” to honor veterans and military families. The American Legion wholeheartedly agrees. It is demonstrated in all 55 departments of our organization every time we award a temporary financial assistance grant, an American Legion Legacy Scholarship or answer a call from our Family Support Network. It is demonstrated every time an American Legion service officer helps a veteran access the VA health care system, which can ease the burden of expensive medical costs that so many families face today. As the first national commander who also belongs to the American Legion Auxiliary, I am also blessed to have an immediate family that includes Sons of the American Legion members and Legionnaires. My home department of Wisconsin is also the birthplace of a company called Harley Davison, a brand that holds special significance among many of our American Legion Riders. My point is that every component of our American Legion Family is important, just as every relative in our immediate family is important. We have had some outstanding legislative accomplishments in 2017, including the signing of the Veterans Appeals Modernization Act by President Trump on the stage of our national convention and the passage of The American Legion 100th Anniversary Commemorative Coin Act. This would not have been possible without the hard work of American Legion Family members who contacted their senators and representatives and asked them to do the right thing. Numbers equal influence, which is why it is so essential that we recruit, renew and revitalize all of our American Legion components to include posts, units, squadrons and Riders chapters. Reconnect with our active-duty, reserve and Guard units by supporting Family Readiness Groups and letting them know that they are all valued by our American Legion Family. We have outstanding programs and I am asking for your support in raising money to provide training for our outstanding corps of service officers and temporary financial assistance for children in need. I thank you for your service as military veterans, as Legionnaires and as members of the Legion Family. Best wishes for a productive and enjoyable conference. Please see the attached resolution for the restructure of the temporary financial assistance statement of policy and the updated temporary financial assistance application. Although this new policy restructure became effective immediately upon approval of this resolution, it is recognized there may be TFA investigations/applications that were in progress prior to its passage. To help accommodate this transition, applications currently in progress will be processed in accordance with previous TFA policy, and those cases recommending that a TFA cash grant be issued from national headquarters should be received by this office no later than November 1, 2017. Those TFA investigations which begin on or after November 1, 2017 will be processed in accordance with the newly restructured policy Resolution No. 8 of the National Executive Committee, October 2017. President Trump signed legislation Wednesday at The American Legion’s National Convention that will go a long way toward fixing the beleaguered VA appeals process. • Local Higher Level Review Lane in which an adjudicator reviews the same evidence considered by the original claims processor. • New Evidence Lane in which the veteran could submit new evidence for review and have a hearing. • Board Lane in which jurisdiction for the appeal would transfer immediately to the Board of Veterans Appeals. As of last spring, more than 470,000 appeals of claims decisions were pending. The average wait time for these appeals to be fully adjudicated is five years. If nothing changes, by 2027 veterans will wait an average of 10 years to get a decision. The bipartisan bill, H.R. 2288, was crafted with much input from The American Legion. It is expected to shorten the average wait time for final appeal decisions from five years to 125 days. American Legion National Commander Charles E. Schmidt welcomed the news. This year’s six-day ride will begin in The Kansas Soldier’s Home at Ford Dodge, Kansas, and will follow much of historic Route 50 through Kansas, Colorado, Utah and Nevada, to arrive at the 99th annual American Legion Convention in Reno. Which will be held from August 18-24, 2017.